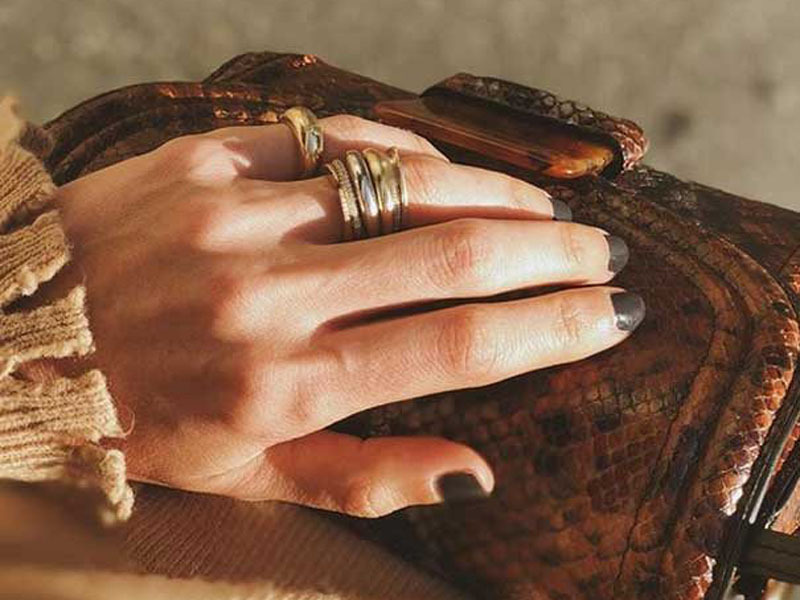 LA-based jeweler Gabriela Artigas has opened a new boutique on Melrose Avenue. In honor of its tenth anniversary, the jeweler is also releasing a ten-piece Cosmos collection with updates to best-selling pieces. Gabriela Artigas announced the new location on its website, saying that the store is opening "10 years after Gabriela Artigas first began designing her minimalist statement jewelry." Sterling silver and gold plated fashion pieces will be displayed along with the designer's 14K gold fine jewelry line and their expanding bridal line. A men's assortment, candles, and children's pieces will be displayed in the location as well. The jeweler's signature pieces include stacking rings and bracelets, necklaces, and hairpieces. The designer has gained the attention of celebrities from Meghan Markle to Gwyneth Paltrow. She works with her sister, Teresita Artigas, who is the company's sales director. The new Gabriela Artigas store is open at 7970 Melrose Ave in Los Angeles. The Cosmos line which includes pearl embellishments ranges in price point from approximately $300 to $800.